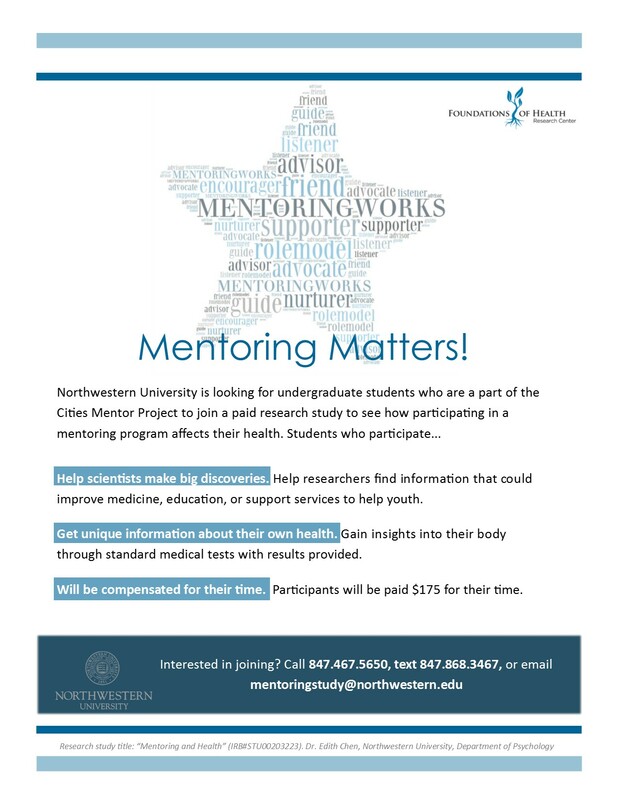 We are currently recruiting Chicago youth and undergraduate students who are a part of the Cities Mentor Project or awaiting placement in the program to participate in this study. For more information, please contact Van Le at mentoringstudy@northwestern.edu or call us at 847-467-5650. If you are a mentor interested in scheduling an appointment, please click here to sign up. If you are a mentee interested in scheduling an appointment, please click here to sign up.